Our company creates business process management software products and we are looking for qualified software engineers like you to join our team. We are currently in search of a Junior Software Engineer to develop business software solutions, provide end user support and software training, and manage projects to be within a specified timeline. This is a fantastic opportunity to engage in a positive and creative work environment that offers excellent benefits, a casual dress code, and a flexible schedule. Develop solution to meet business requirements and ensuring technical feasibility. Develop code for business software used to run our company operations. Validate results by testing programs. Ensure operation by training client personnel; providing support. 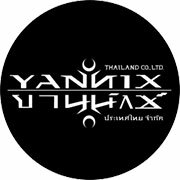 Yannix is a leader in providing visual effects post production services to the Hollywood movie industry. Seen any good movies lately? Chances are we have worked on that movie. 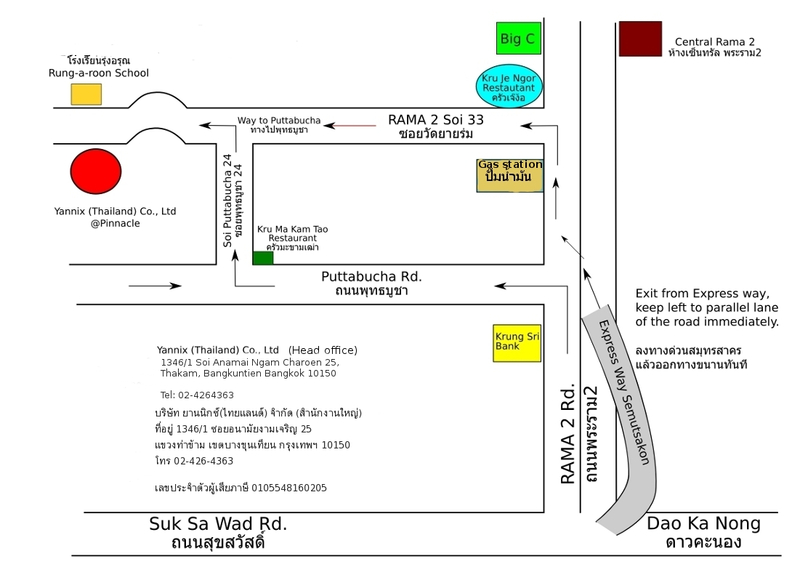 We are based right here in Thailand. Be a part of Hollywood … come, join us! 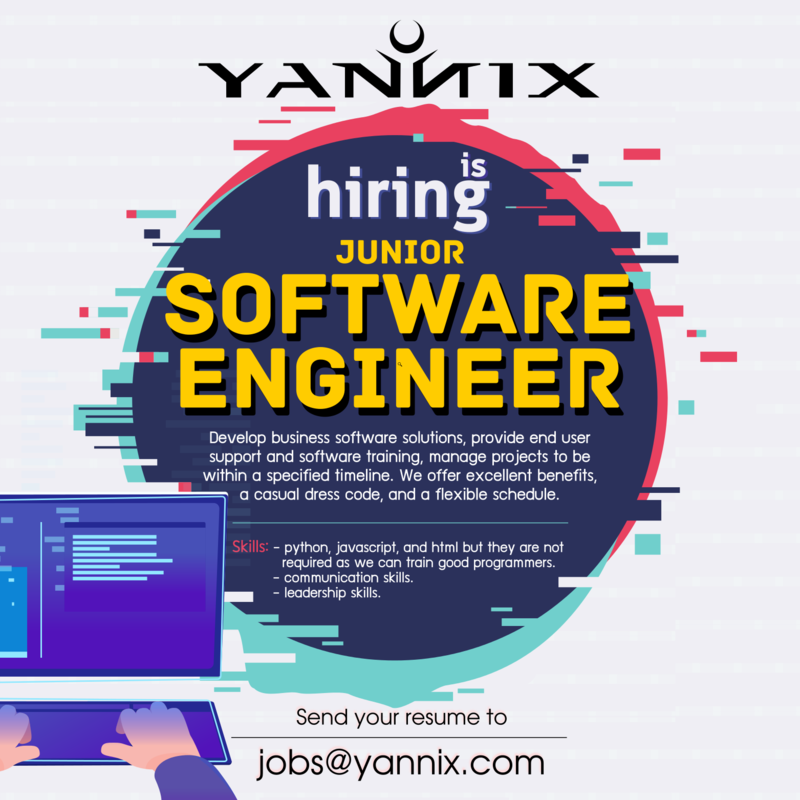 Job Application Process at Yannix If you are interested in working with us, please follow these instructions. Submit a copy of your recent transcript and resume via email. All files should be sent in PDF, JPG, PNG หรือ ZIP file format only. Please use your first name and last name to contact us and provide us with your mobile phone number and email address so we can get back to you. Please do not attach files that are more than 10MB in size via email, as this may create problems in our email system. Failure to follow this direction may prevent your application from being considered. If you have any other files or data you would like us to review/consider (such as a sample of work you’ve done previously), please send us a brief description along with a URL via email so we can access the sample accordingly. Once an interview date has been confirmed, please prepare yourself both physically and mentally. Moreover, for the benefit of your own interview, you should study the interview preparation tips (Yannix Jobs Interview Cheat Sheet) that we have prepared for you.